Think about every person whose style you’ve admired: the movie stars, the musicians, the random folks you’ve seen on the street. What do they all have in common? Clothes that fit. You can wear nothing but white T-shirts, or black suits, or gray sweats and if your clothes fit well, you’ll be acing the style game. After that, it all comes down to details, the precision of your tie knot, the way your no-show socks actually don’t show, that kind of thing. 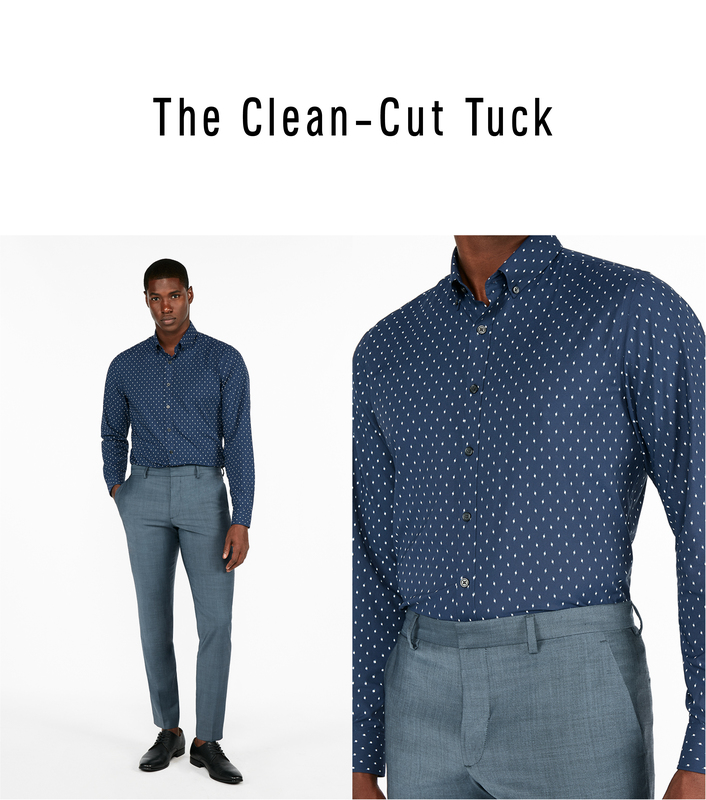 To that end, today we’re reviewing the basics of one of the trickiest things to get right in the fit department—the button-down shirt—and how to tuck and cuff the sleeves the right way so you really knock it out of the park. Read, digest, and implement these moves and before you know it, you’ll be the stranger on the street whose style everyone is secretly admiring. If you want your clothes to look great, they need to fit you well. No expert tuck or clever cuff can save a too-big shirt. If you’re a slender or average-size guy, consider sticking with slim-cut shirts, which will fit you in the shoulders and the waist, so you can skip the tailor completely. 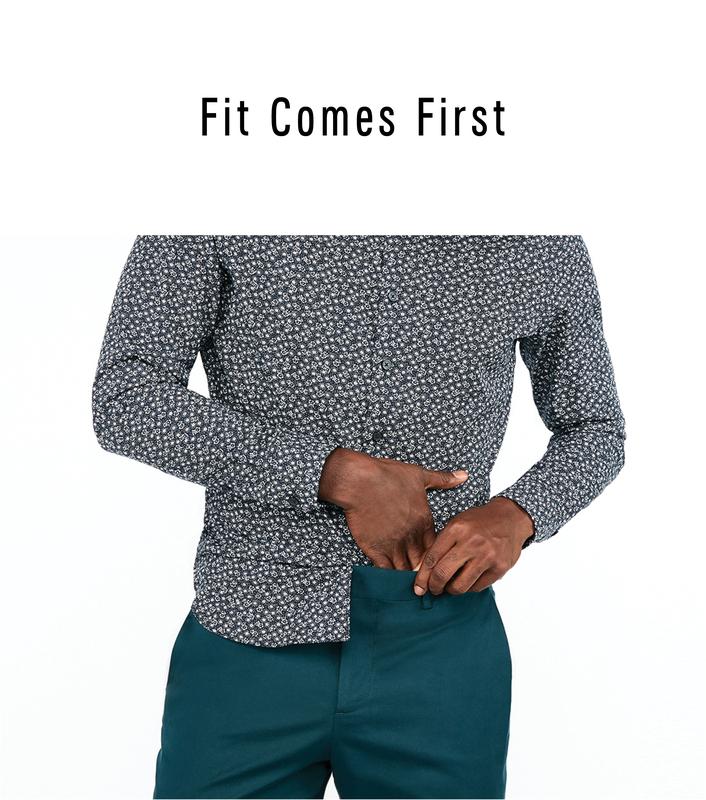 If you need a little more room, feel free to go for a classic-fit shirt. A good way to know if you’re on target with size is to lift up your arm and pinch the fabric of the shirt together at your side. If you can grab more than 2-3 inches of fabric, your shirt is too big. Check the arms, too. When you hold your arms out to the sides is there an excess of fabric hanging down below your armpits? If so, you owe your tailor a visit or should try a slimmer cut. If you’re operating with a great-fitting shirt to begin with, the rest is easy. Tuck the back of your shirt in first, then the front, or put your pants on last—whatever comes naturally. You want to make sure your shirt placket and pant zipper create one long line. Do not, and we repeat, do not tuck your shirt into your underwear to keep it in place (bending over could be a disaster if you do). If you’re worried about dress shirt muffin top, which is admittedly the worst, try the military tuck. Pinch excess fabric at the side of your shirt and fold it back towards the side seam, pulling down as you do. Tuck the pleat into your pants, then repeat on the other side. Your shirt will look tighter and tidier and stay put as you move around. Some rely on shirt stays to keep everything tucked in tight, but that’s a lot of gear for such a simple task. Unless you’re a man in uniform, we say keep it simple. 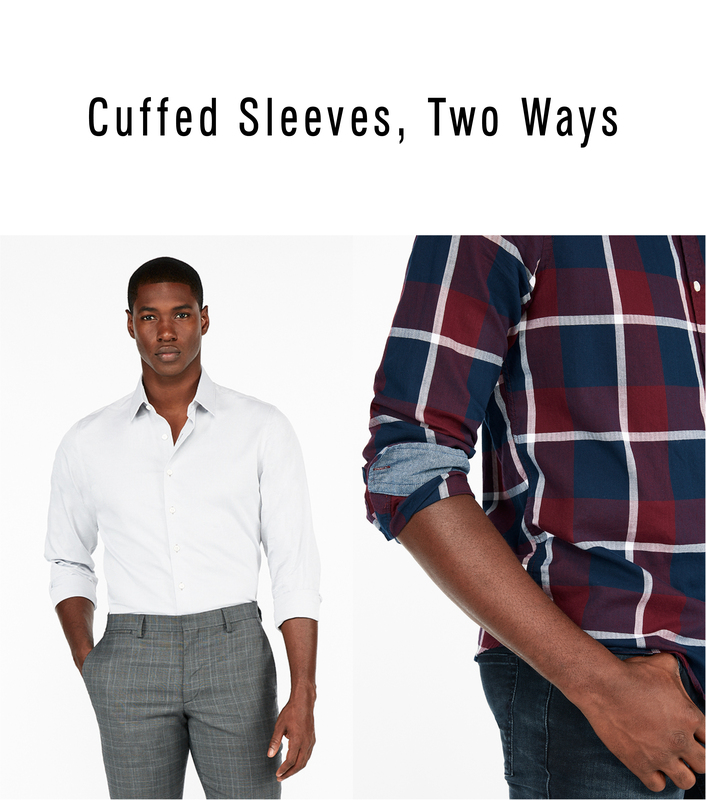 Knowing when to cuff your sleeves is almost as important as knowing how to roll them back. Don’t cuff your sleeves when you’re wearing a tie unless you’re literally getting your hands dirty (in which case, toss your tie over your shoulder while you’re at it). And, in general, don’t cuff at times when formality counts. Think: weddings, funerals, and job interviews. When you’re not at work, your cuffing method can be a little less neat. Keep the gauntlet buttons closed and flip the cuffs back just once, then push your sleeves back to secure. Pull a little bit of shirt fabric up over the cuff to keep it in place. You can’t really mess this one up, since it’s meant to be messy—unless you overthink it!